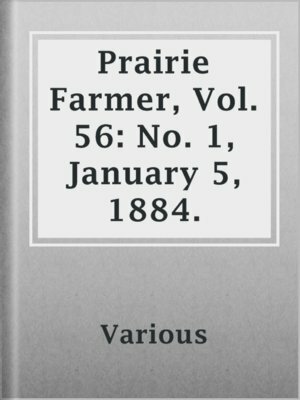 Prairie Farmer, Vol. 56: No. 1, January 5, 1884.